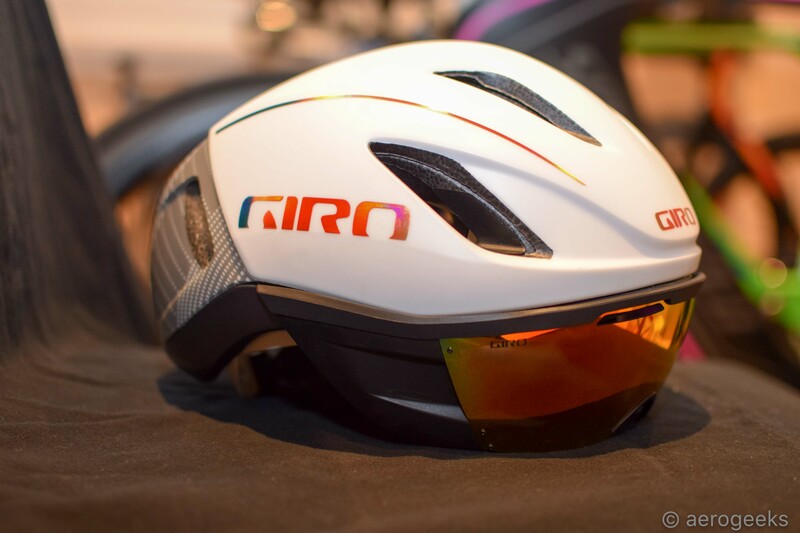 It was almost 1 year ago to the day that we first reported on the new Giro Vanquish MIPS – the successor to the Giro Air Attack. The Air Attack was the first of the now standard but then revolutionary aero road helmets. And while the Specialized Evade eventually became the standard of its generation, the Air Attack was truly the first. So we had high hopes for the Vanquish. 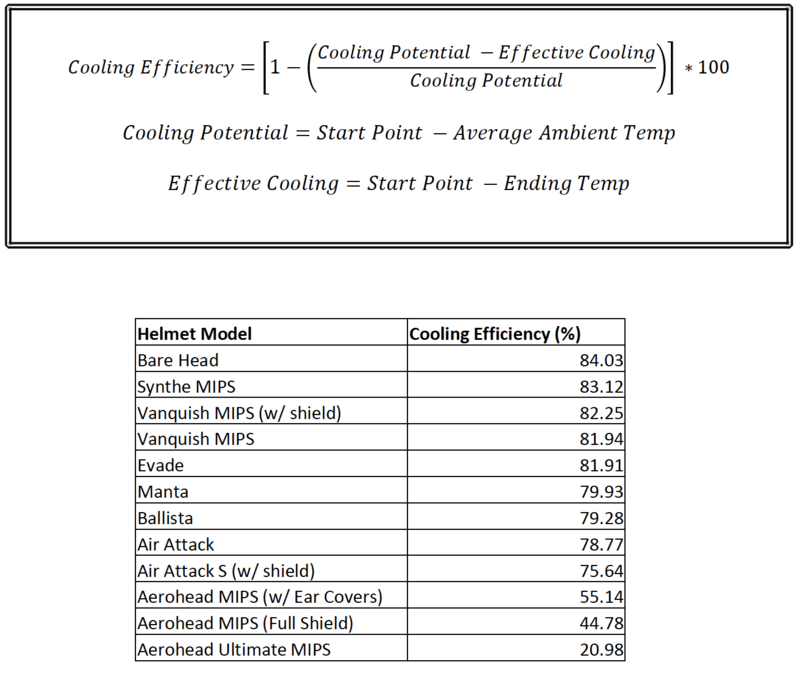 We wanted a helmet that took everything that made the Air Attack great (including its Shield, which was revolutionary at the time) and take it to standard defining level. So after nearly a year with it, did the Vanquish meet our hopes? Read on to find out! 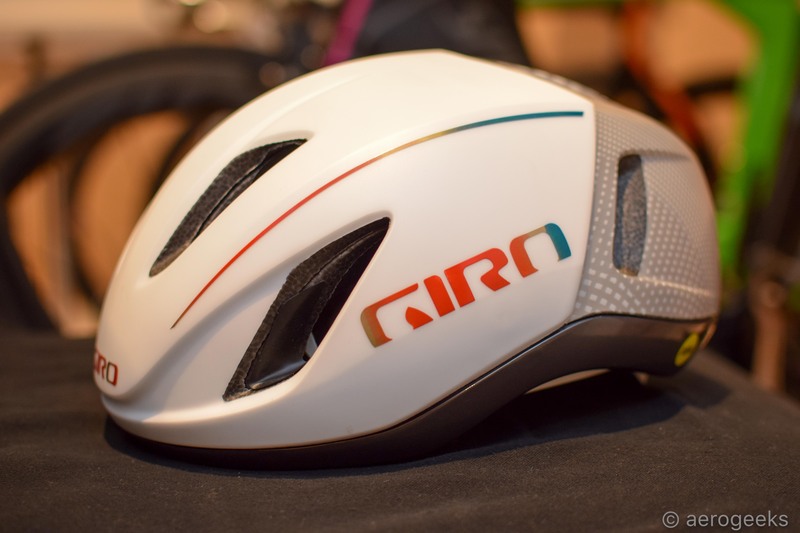 Giro’s next-generation of aero road helmet is defined by its new shape, including the new wrap-around visor. 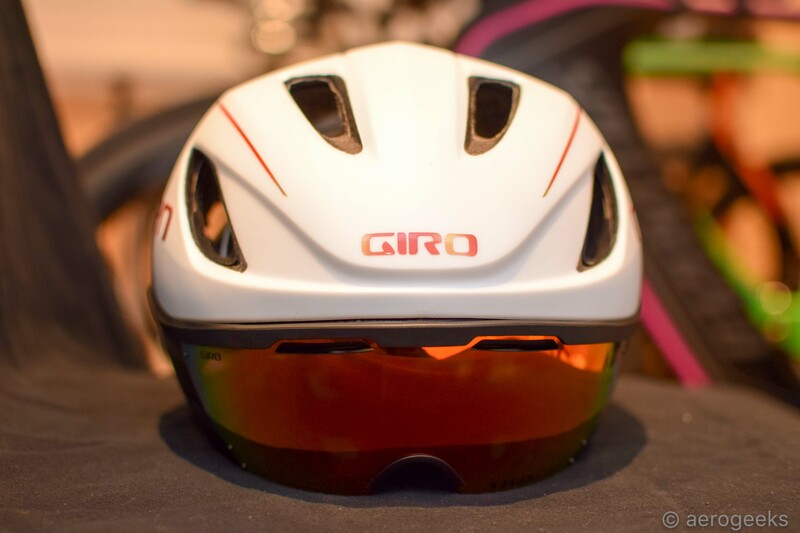 A visor that clearly takes inspiration from the Giro Aerohead. 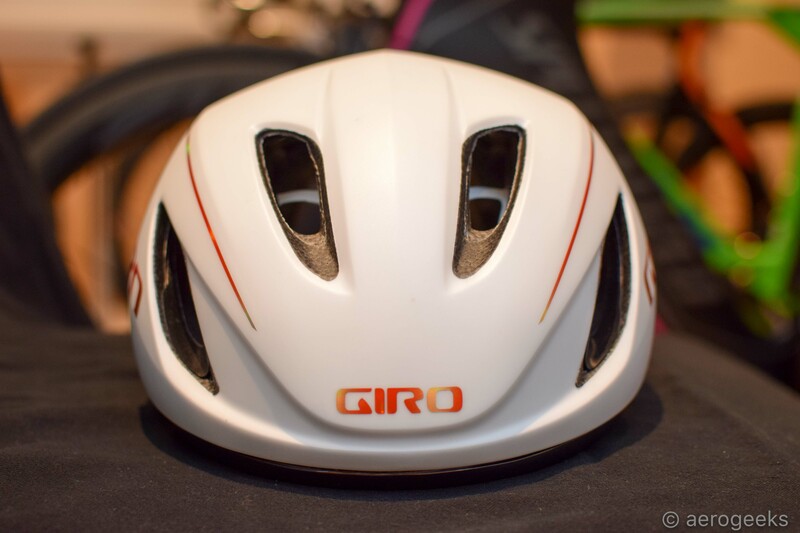 Giro calls the design “TransformAir.” An aerodynamic “cliff” tricks the air by reducing drag and providing the aerodynamic efficiency of a full teardrop helmet, in a profile that Giro says is more comfortable and versatile in a variety of head angles. This enables aerodynamics that are 7% faster than Giro’s benchmark aero road helmet, Air Attack, and 13% faster than Giro Synthe, with an additional 2% gained by using Vanquish’s shield. To keep you cool is WindTunnel Ventilation. A network of vents and channels allows air to flow smoothly across the top of the rider’s head to deliver optimum cooling around the entire helmet, and works to reduce aerodynamic drag. This helps Vanquish have 7% better cooling power than the Air Attack and within 1% of Synthe. 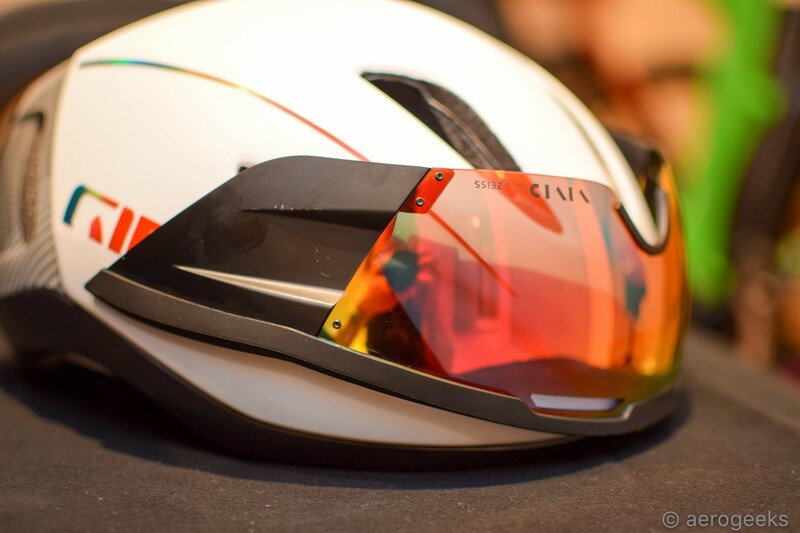 The new Vivid shield by Zeiss is what most riders will see as the defining feature of the Vanquish. This magnetic shield makes the Vanquish even faster by streamlining airflow, and features an all new road-tuned Vivid™ lens that increases contrast and definition while keeping colors true-to-life. 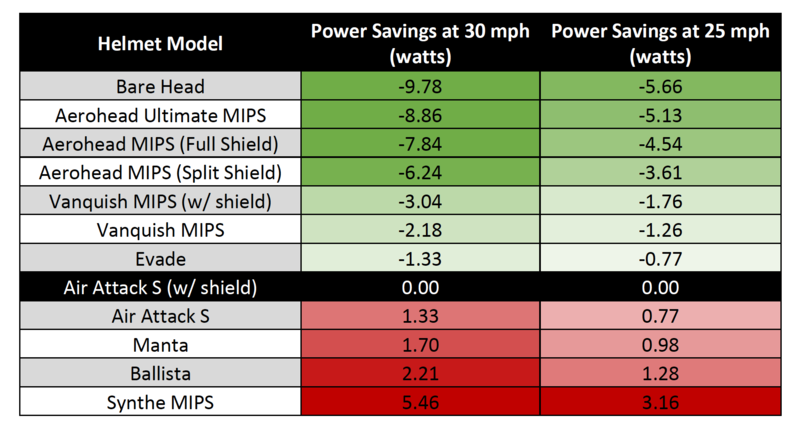 The result is a helmet that Giro tells us is 2 watts faster than the original Air Attack (and 3 watts faster when the shield is on). Looking at the aero data, we couldn’t help but notice that Giro outright says the Evade was faster than the Air Attack. 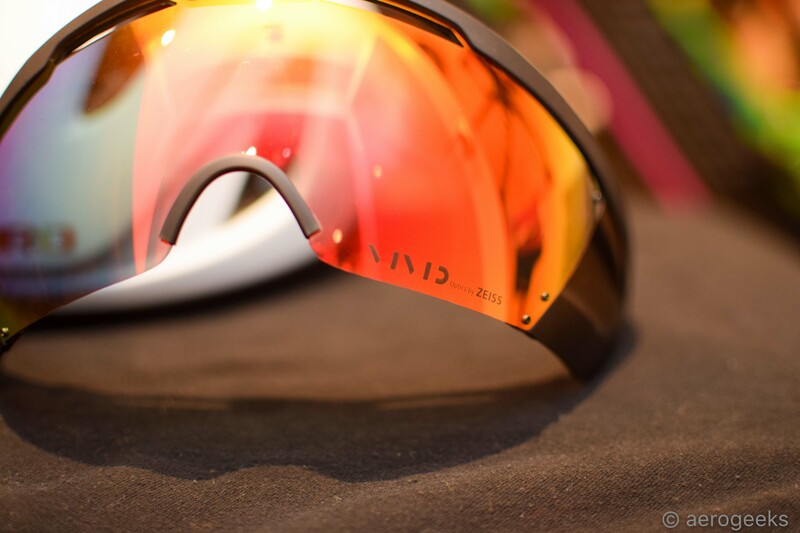 Finally, to keep you safe is the Roc Loc Air MIPS—a combination of the Multi-Directional Impact Protection System (MIPS) and Giro’s proprietary Roc Loc Air fit system that makes the Vanquish better ventilated, supremely comfortable, and more protective in certain impacts. You’ll also find Progressive Layering—a multi-density foam construction that saves weight and allows the Vanquish to help manage a wide range of impact energies. 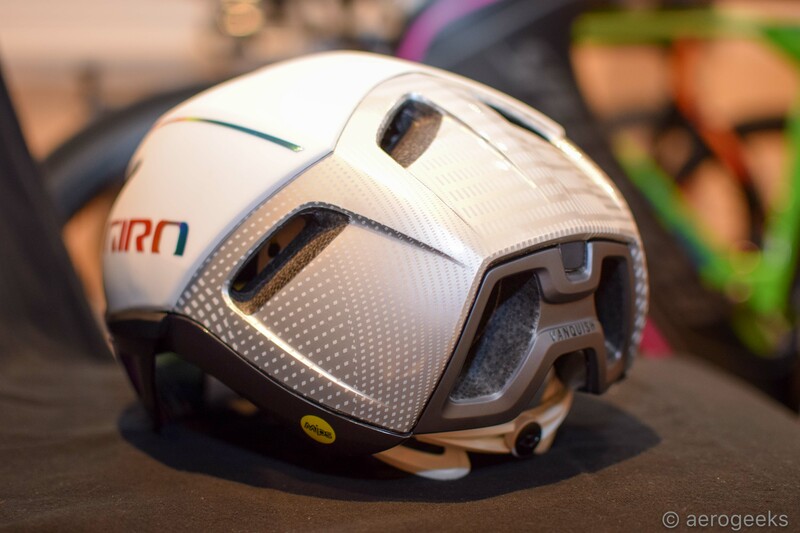 The Giro Vanquish MIPS is available in 6 colors at an MSRP of $275.00 (though a quick search finds it selling for closer to $200). Our size medium helmet weighed in at 312g without the shield and 364g with it (very near the 305g/355g Giro claims). From the get go we wanted to establish if this new helmet was more comfortable for the long haul than the original Air Attack. After spending many thousands of miles underneath an Air Attack, we can tell you there was some room for improvement. In our original review, we found that at high speeds the Air Attack was as comfortable as our control helmet. The more time we spent at lower speeds, the more we wanted something a bit more ventilated, especially when simply training. 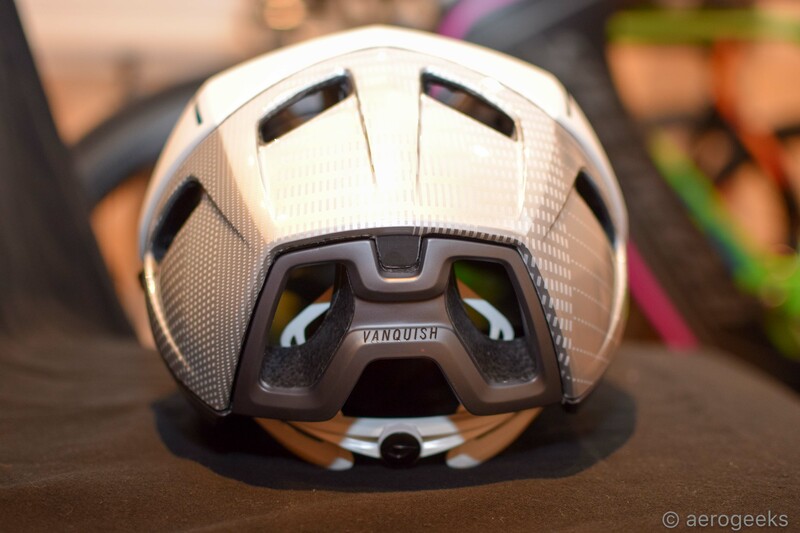 In our testing, we found the Vanquish to be exactly what Giro promised us – a much cooler helmet. Giro claims that it is near the Synthe in terms of cooling and in our (fairly nonscientific) head test, we felt it was a claim that at the very least passed our test. The Vanquish is surprisingly cool, even with the shield on. The two small vents above the eyes allow a surprising amount of air to circulate over your face. We even found ourselves questioning if this was just our imagination or some sort of placebo effect. But even a few hours into a mid-July ride in Florida, we still didn’t feel the need to just let our head air out. We rode both with and without the shield, and honestly we found we preferred the shield on. The ventilation was that good, and the unobstructed view beat even some of the sunglasses we routinely ride with. The Roc Loc Air MIPS keeps the helmet lightly on your head. Our main tester has almost the bare minimum of hair on his head and even he felt as if the Vanquish was light on the contact points. The rear retention dial is easy to reach, though we wish it was just a bit bigger for adjustments (especially with sweaty hands). The magnetic retention system of the Vanquish is much improved over the Air Attack. With the previous system, there were just thee magnets. And yes, we did have the misfortune of knocking the shield off while scratching our nose. The Vanquish system felt much more secure in both the up (flipped over and out of the way) and down positions. So did the Vanquish meet our hopes? Is it a true successor to the Air Attack that challenges the new Evade as the class leader? We think it did. The Air Attack very much feels like the prototype to this fully completed Vanquish. It’s cooler, faster, and the magnetic shield works much better (minus a few minor gripes). Our issues with the shield not withstanding (and something you can get a feel for at your local bike shop to see if they bother you), this is a helmet we have no problem recommending. As always, thanks for reading AeroGeeks, and stay tuned for more news and reviews this week! Did this helmet help with wind noise produced around the ears?